I am a girl who loves the holidays, and has quite the collection of holiday gear in the basement! I have boxes of ornaments and décor I need to dust off and unpack so I can decorate my home. 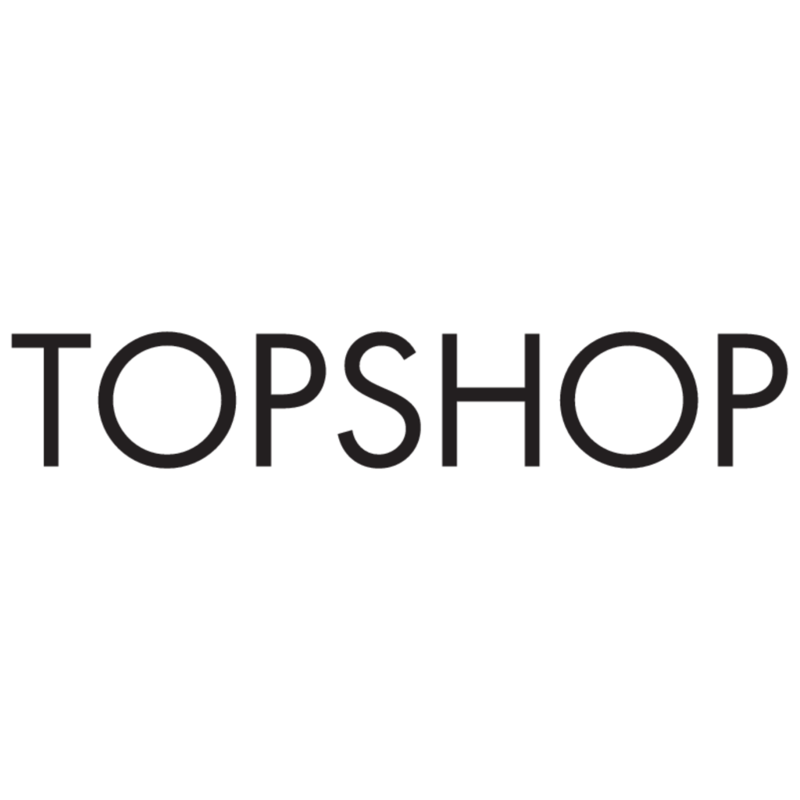 The one thing I don’t love? 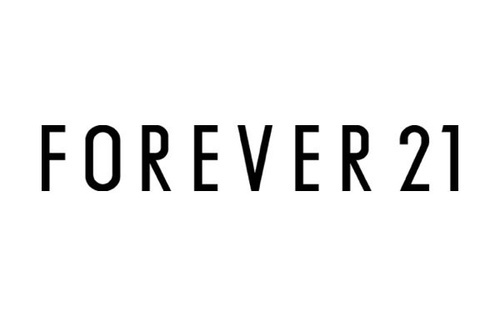 The musty smell my stockings and pillows accumulate after being in storage. I always want people to walk into my home during the holidays to see a gorgeous holiday display, but the last thing I want them to notice is that my home doesn’t smell as fresh as it should. 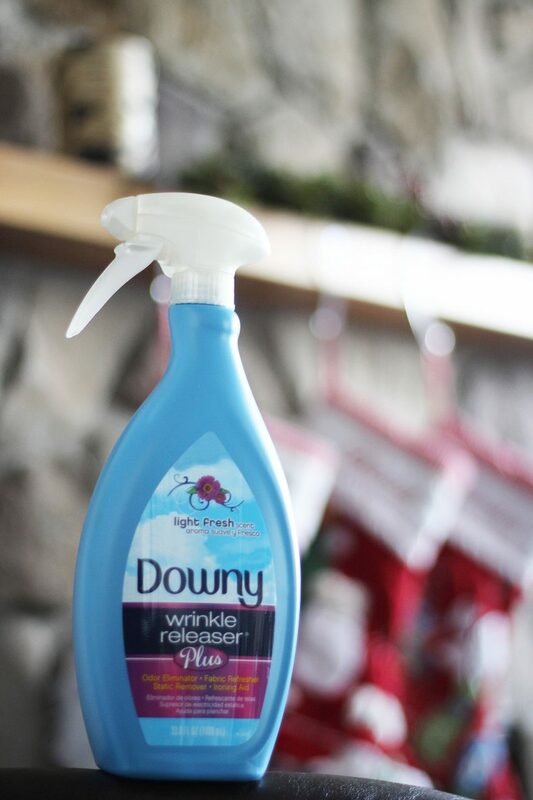 I’ve written on the blog before about my love for Downy Wrinkle Releaser Plus because it does an amazing job of getting rid of the static from my clothing! 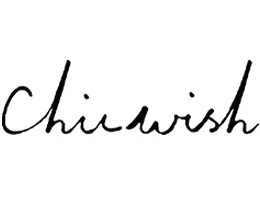 Sometimes I even spray it on my hairbrush at this time of year to get rid of the static in my hair! The other great use for this product is as a fabric refresher! 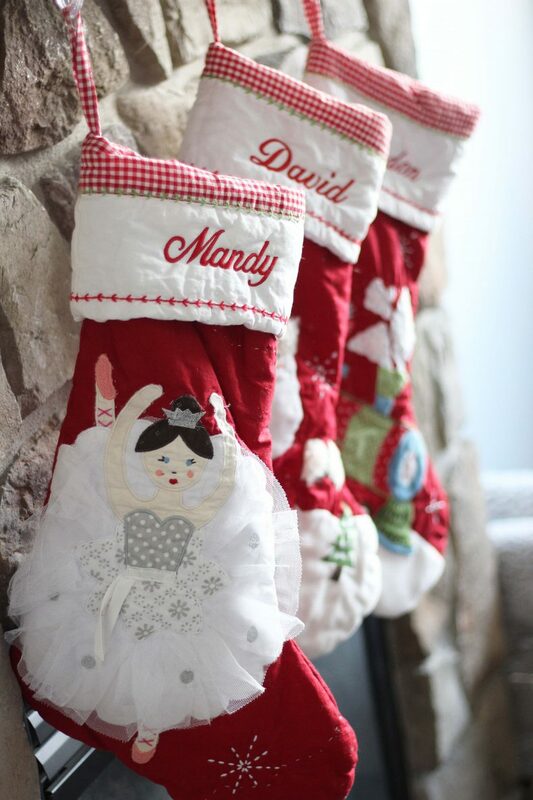 Not only can I use it on my table linens and curtains to get rid of that static cling everything seems to have in my home at this time of year, but it’s also perfect to refresh my holiday décor like my Christmas stockings, and my holiday pillows. 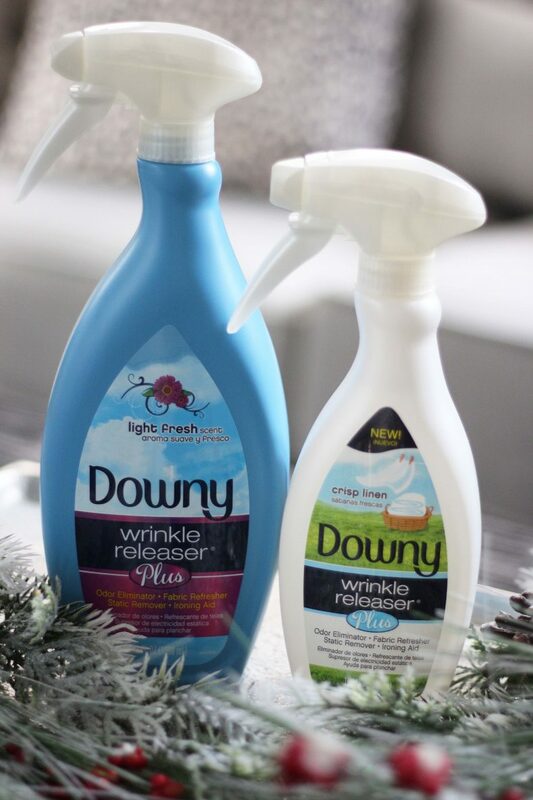 Not only does Downy Wrinkle Releaser Plus remove all of the static cling from these fabrics, but it also removes wrinkles! It’s such an easy process – just spray, tug and smooth. 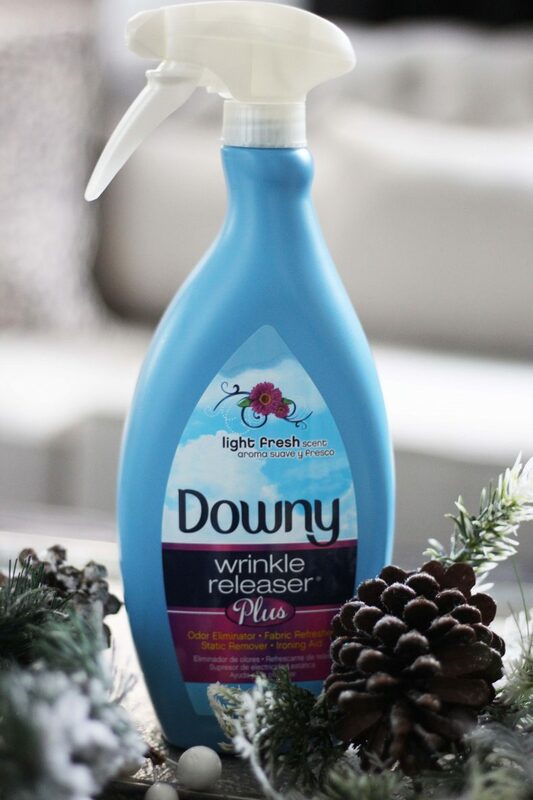 I can’t tell you how many times my travel sized bottle of Downy Wrinkle Releaser Plus has saved me when I’m at an event and my dress becomes wrinkled on the drive to the party. 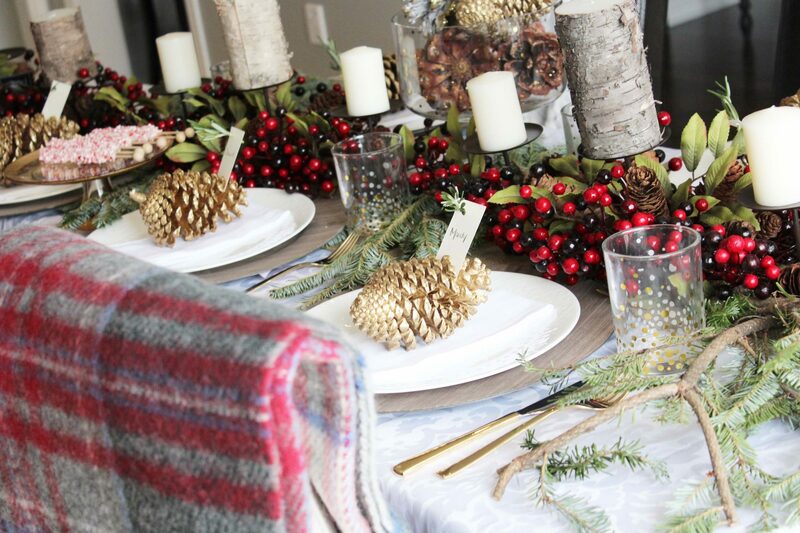 It works exactly the same on curtains and table linens for the holidays! 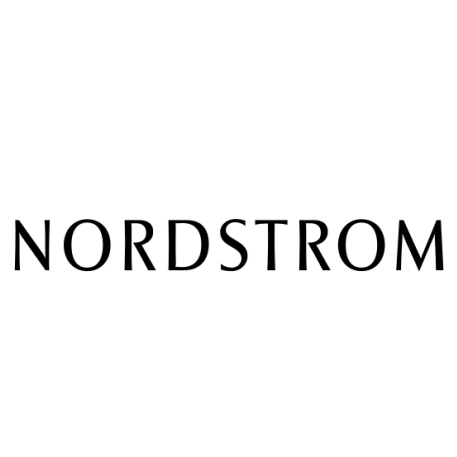 It also eliminates odor which is something I deal with every year when it comes to my Christmas stockings. They always seem to have a dusty and musty smell to them. 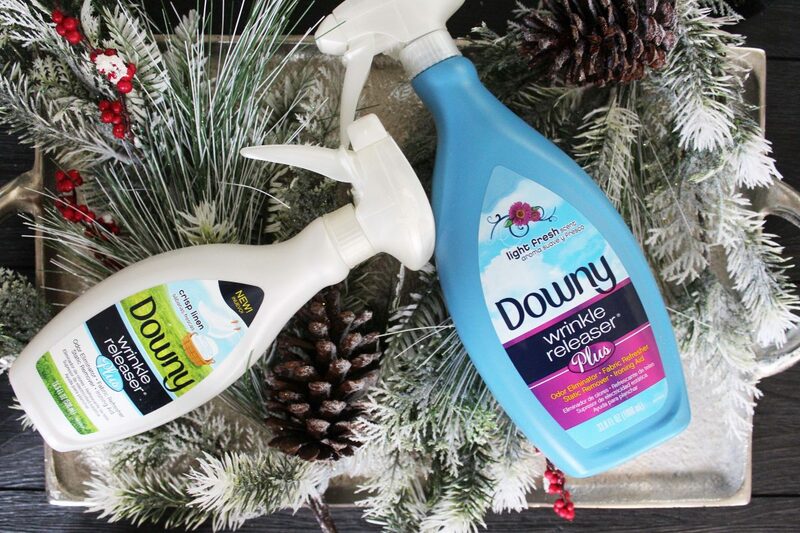 Downy Wrinkle Releaser Plus freshens them up with their original fresh scent, but their new Crisp Linen scent is also one that keeps my home smelling great for the holidays. Anytime I can avoid ironing I’m a happy girl! 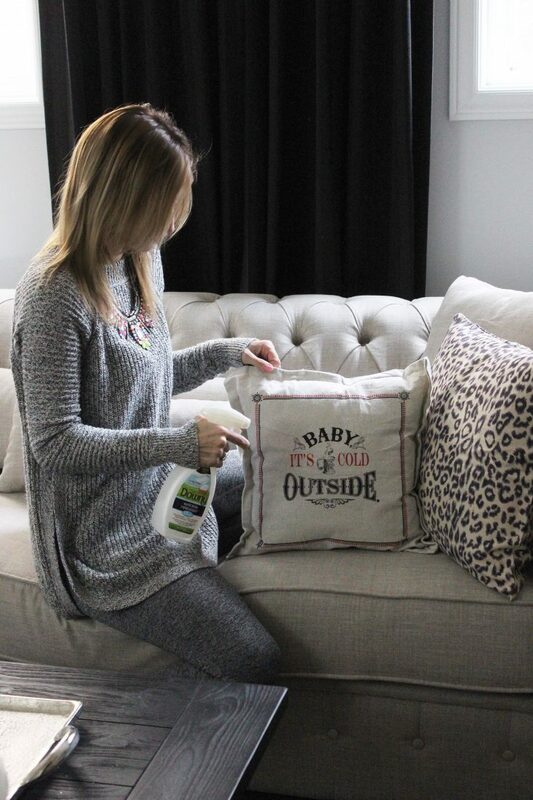 This product does so much for me during the holidays – it removes my wrinkles from my clothing, drapes and linens, and it freshens up and removes static from everything in my home so I’m ready to host for the holidays! 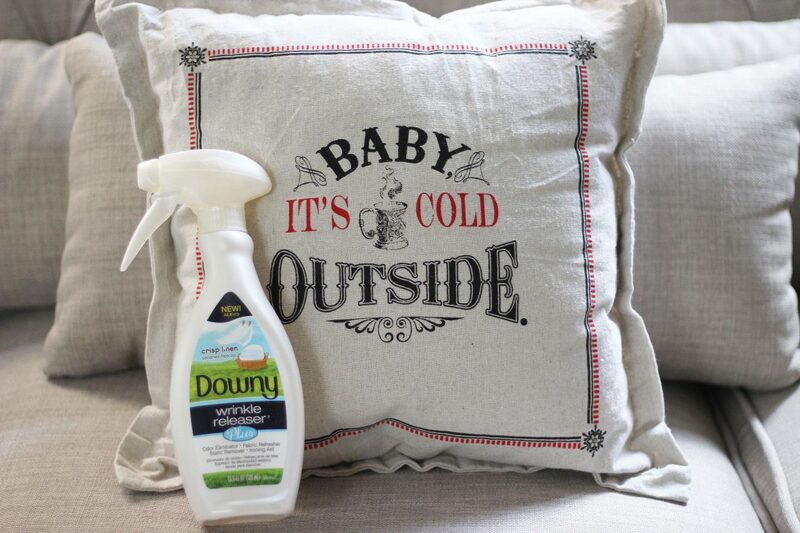 For your own coupon for Downy Wrinkle Releaser Plus, visit this website here! 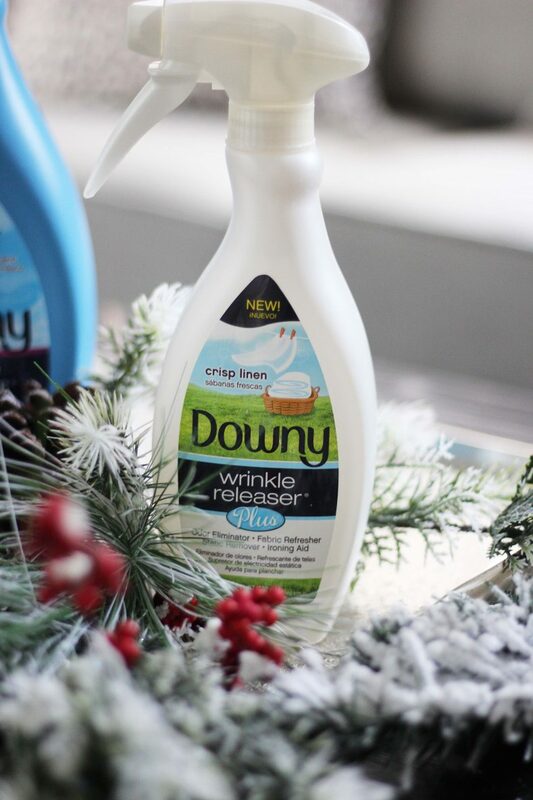 You can also learn more about Downy Wrinkle Releaser Plus on their Facebook page, Twitter, and Pinterest accounts. This post was compensated by Downy Wrinkle Releaser Plus, but the content and opinions in this post are my own.